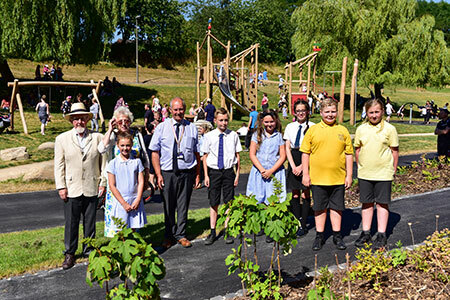 Winsford Town Park has reopened to the public after the council spent £900,000 turning it into a multi-purpose outdoor attraction, to meet the needs of the public as outlined in the Neighbourhood Plan. The green space close to the town centre has been transformed into an attractive public area with a range of new facilities for Winsford residents to enjoy. “The idea was to create a beautiful space in the centre of the town that could be used by the whole community and to breathe new life back into the area. “I would encourage all residents to come down and enjoy this public space during the summer months and throughout the years ahead. The development is a joint project between Cheshire West and Chester Council and Winsford Town Council, which owns the park. It was re-designed by Cheshire West and Chester Council’s Total Environment Team. New pathways have made it easy for residents to walk from the town centre into the park and the flashes on the River Weaver. Once inside the park, families can enjoy its new children’s play area or get fit on exercise equipment and use the multi-use games area. The project to revamp the site began last year with the removal of dead and overgrown trees, the planting of new ones and a redesign of the landscape. The result is a modern park which feels open and spacious. 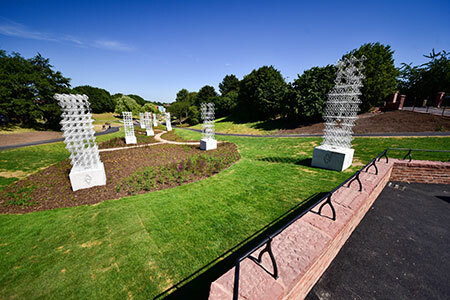 The park also features the work of public artist Liam Hopkins, from creative studio Lazerian, who organised a number of workshops for the residents of Winsford to become involved in the development of the park. Liam’s artwork celebrates the history of the town and focuses on the salt industry that the town has been built around.